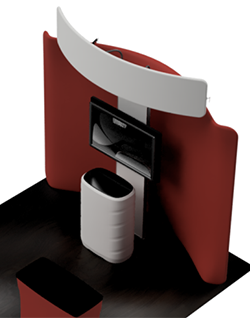 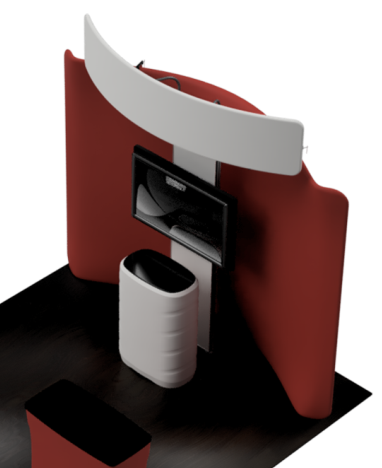 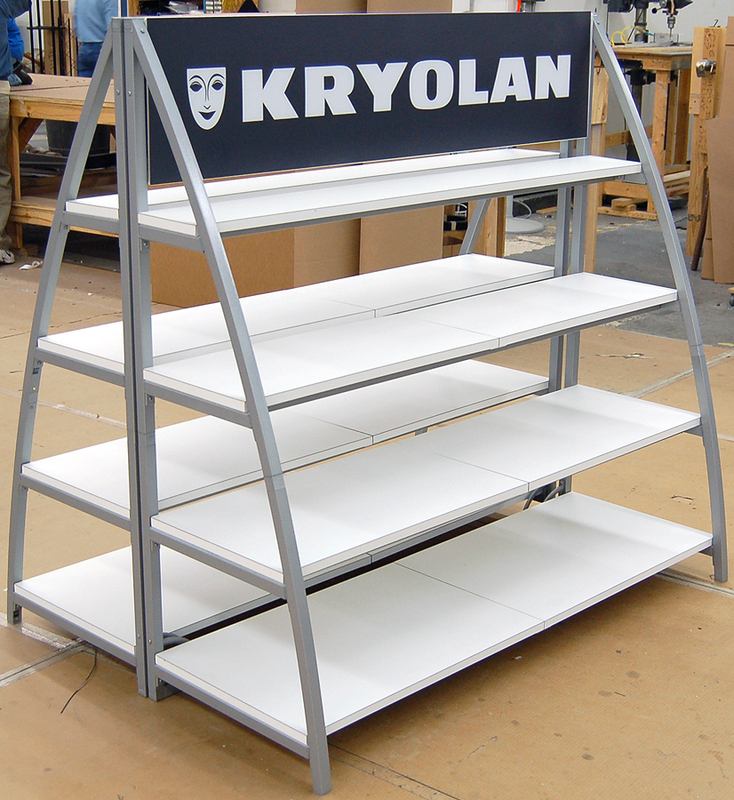 EyeKon Group produces a shelf system that is both portable and functional. 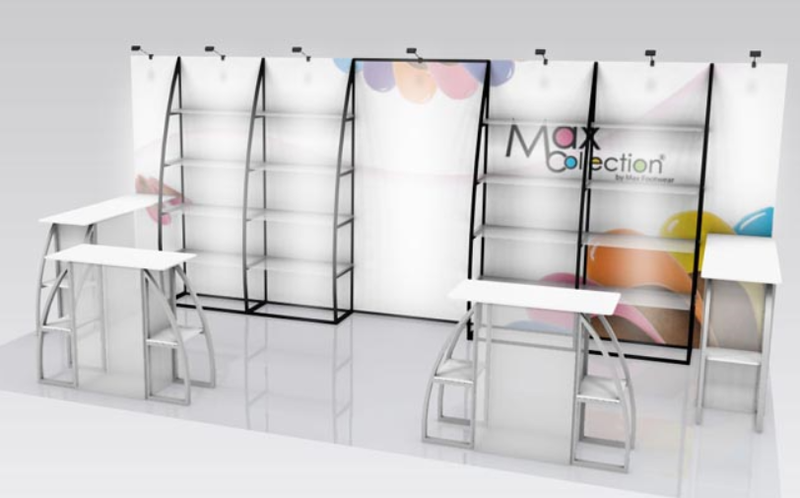 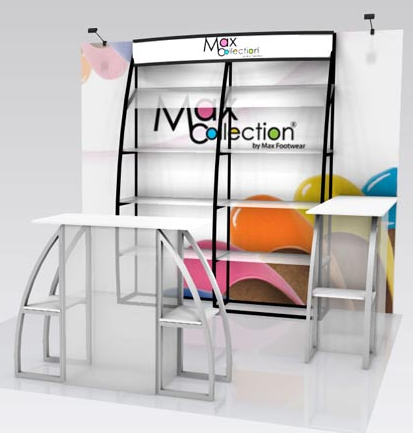 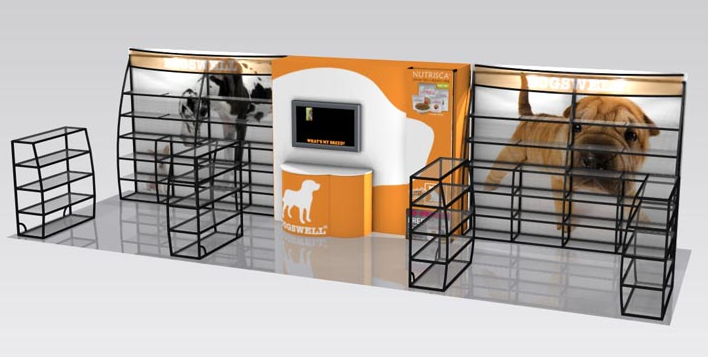 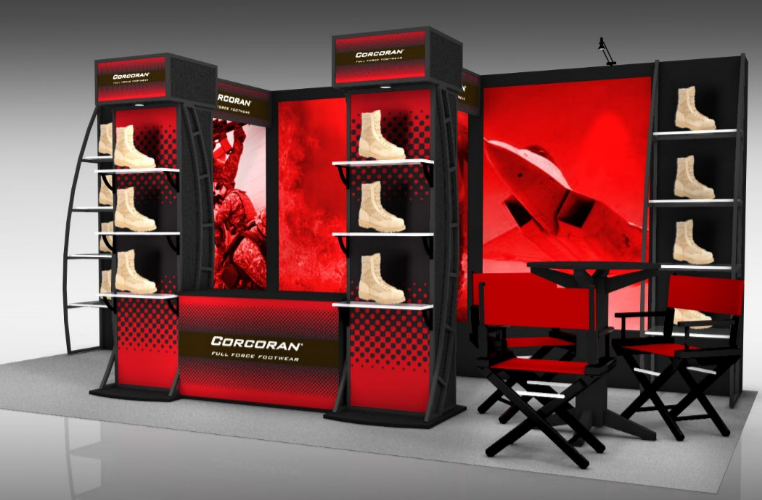 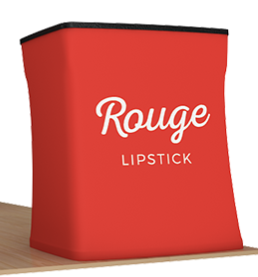 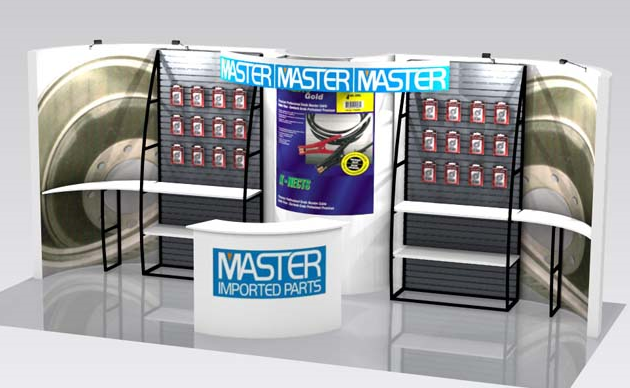 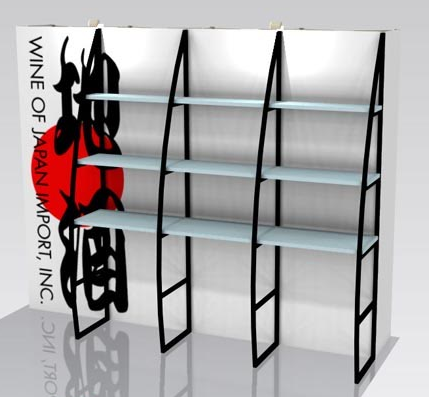 When you need a deeper, wider and stronger shelf to present your products, our Forum OutRigger system becomes a part to your display or can become the main component of your display to support graphics as well as your product. 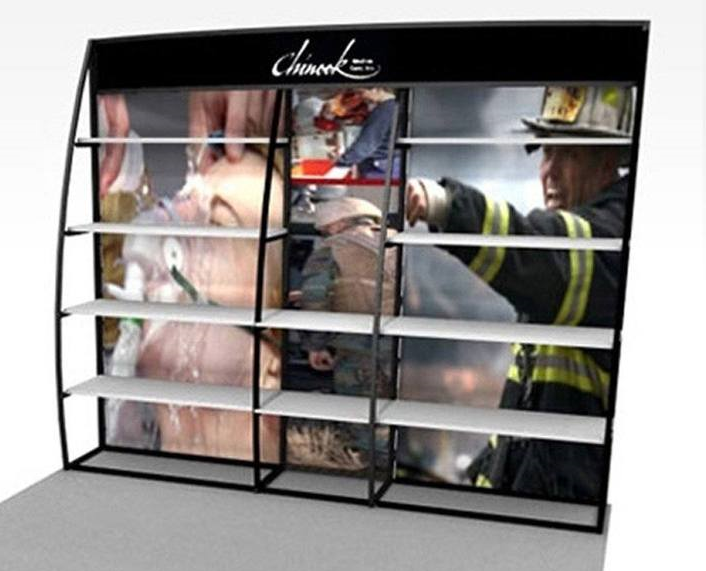 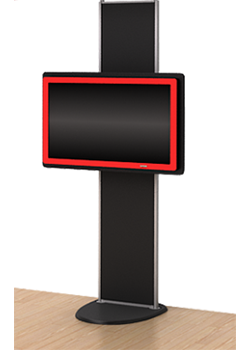 Video Monitors and light box graphics can be integrated into your custom shelf display. 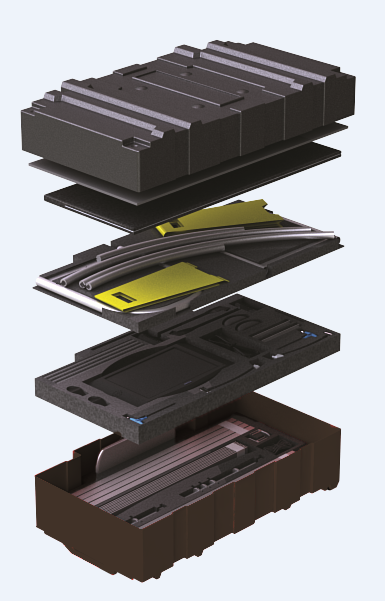 Because it is one of our component building systems, it doesn’t come with the custom price. 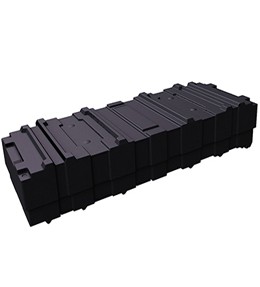 Standard widths range from 16″, 27″, 37″, 42″, 55″ and 110 inch. 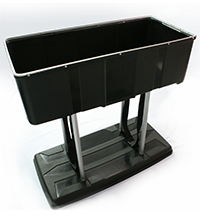 with shelf depth starting at 18″ deep at the lower shelf. 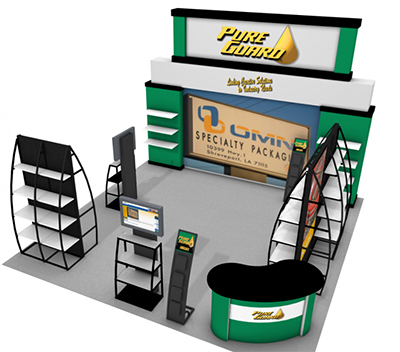 Price includes graphics and lights unless noted. 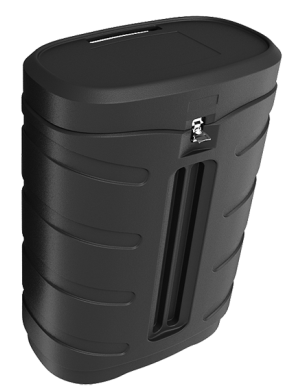 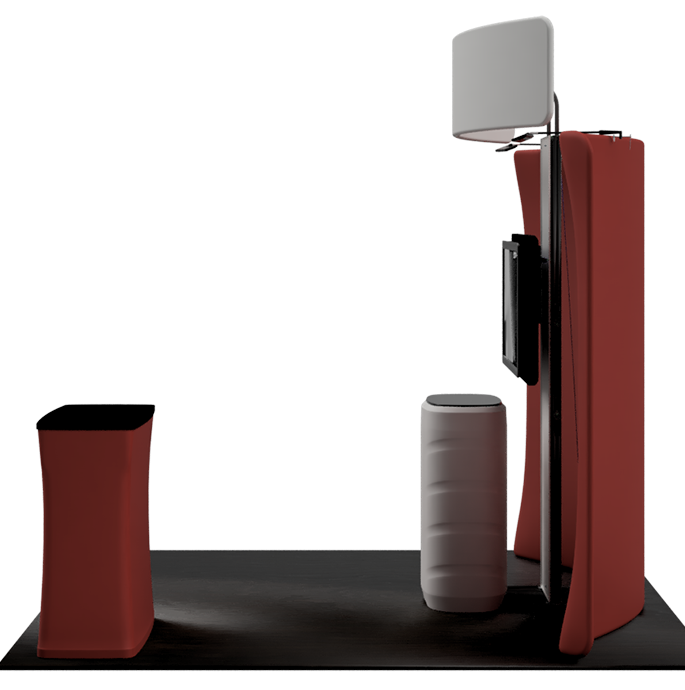 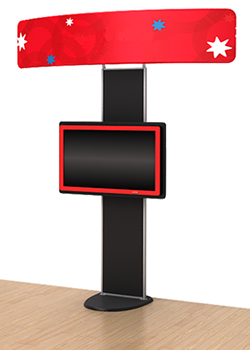 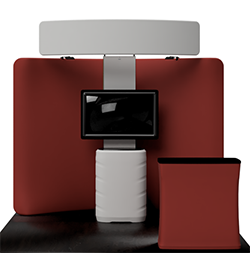 Cases and podiums are priced separately. 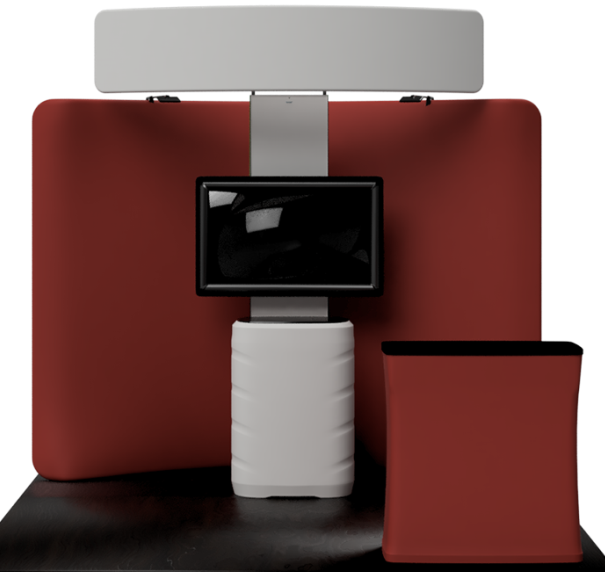 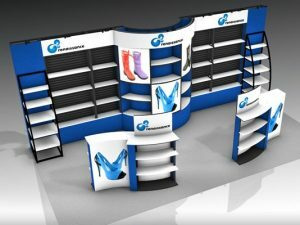 Cases would add approximately $600 to $1,200 to prices including cases that convert to podiums with graphics. 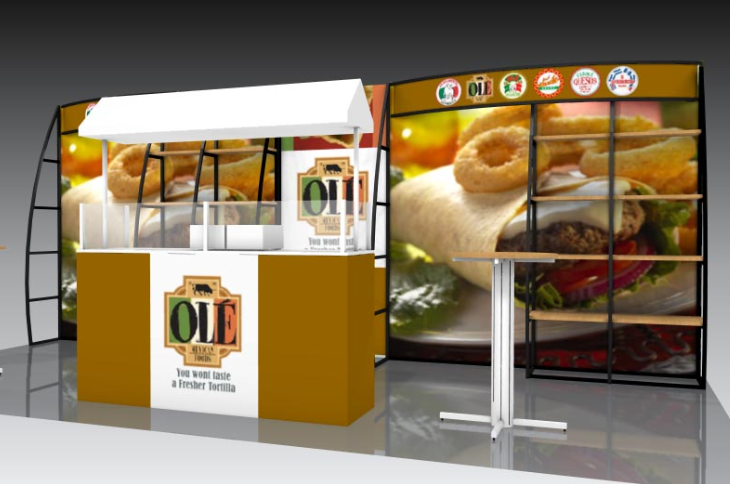 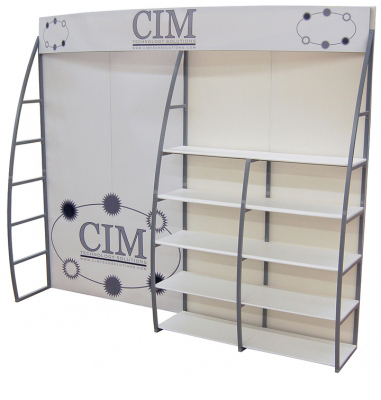 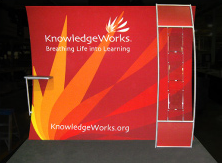 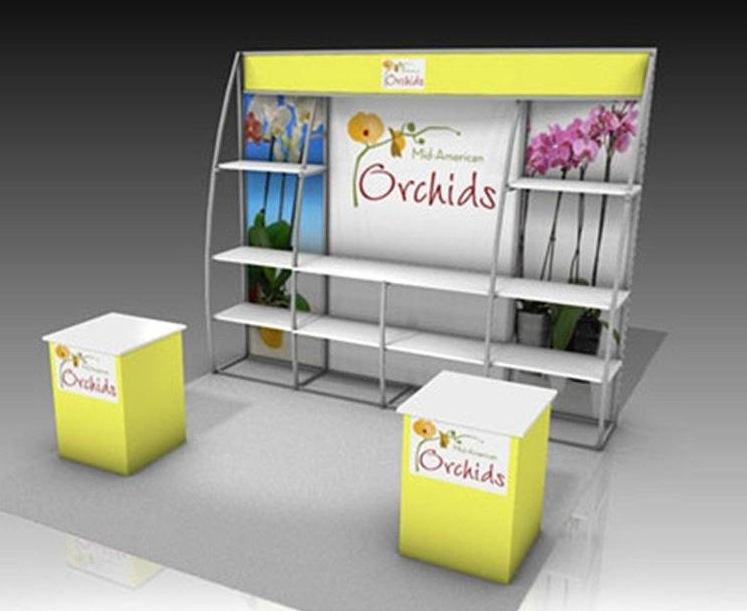 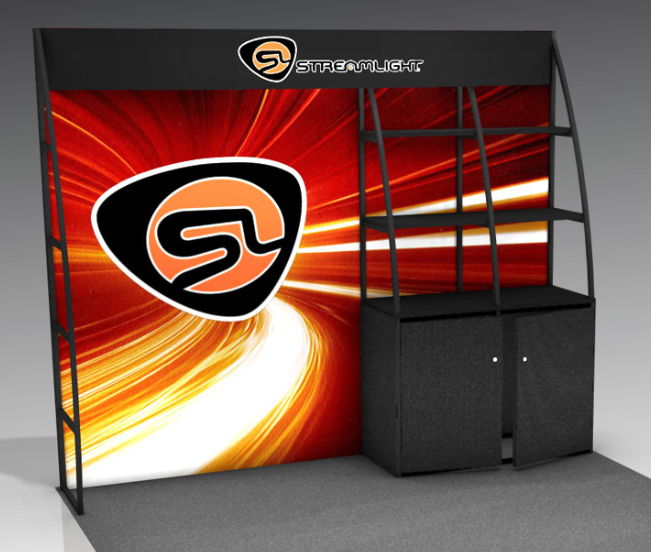 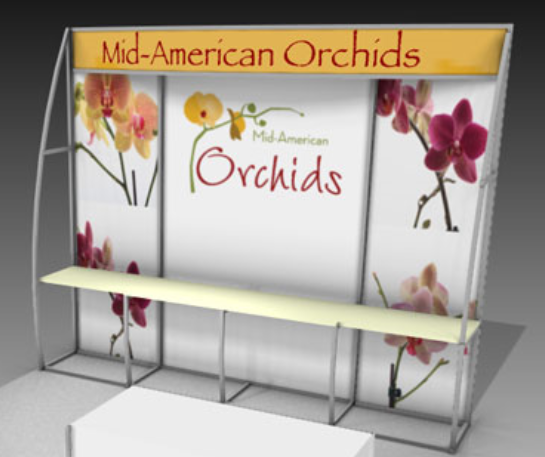 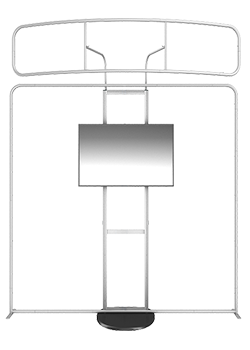 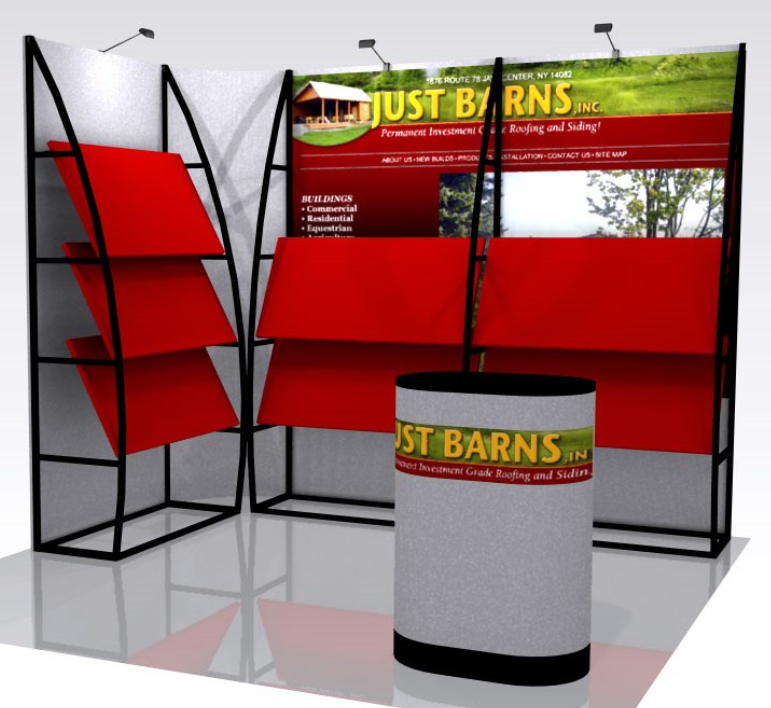 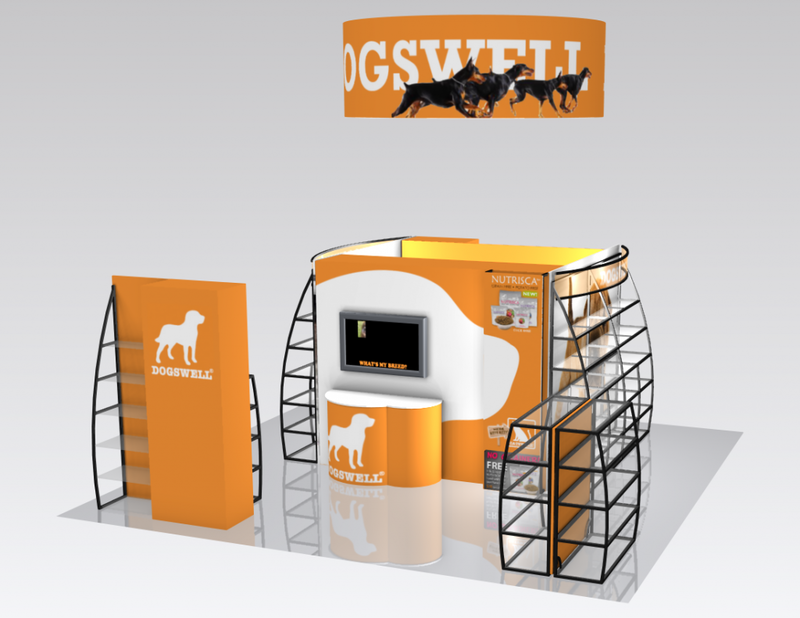 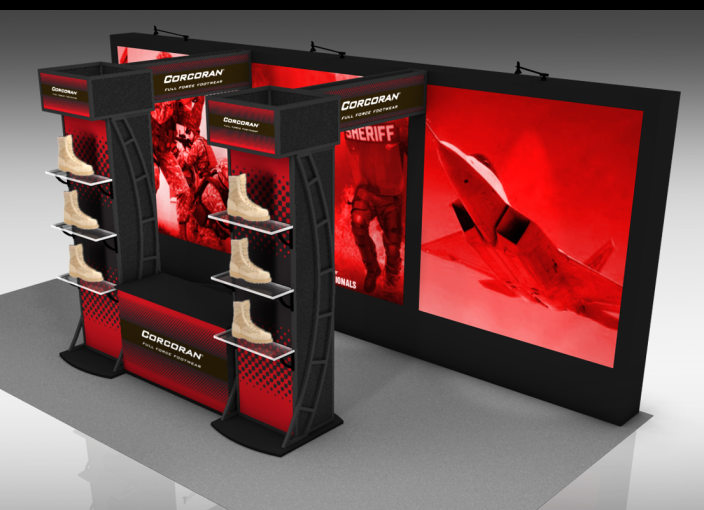 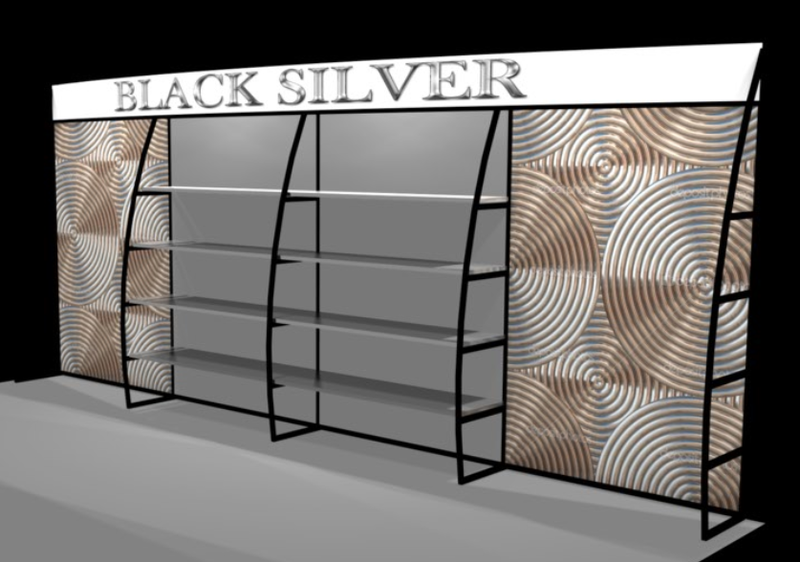 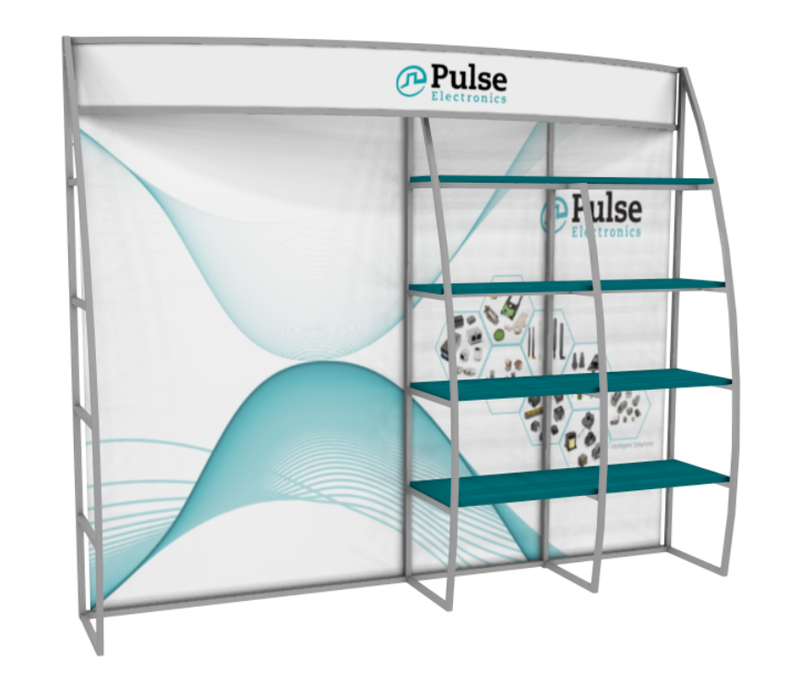 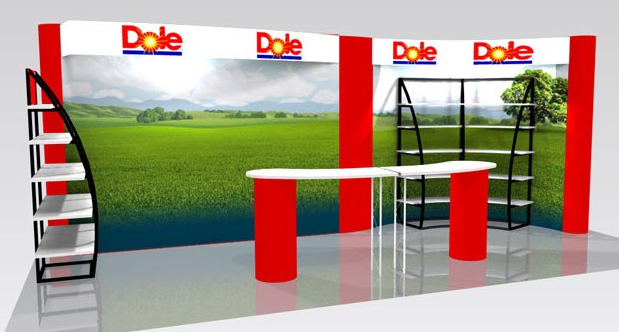 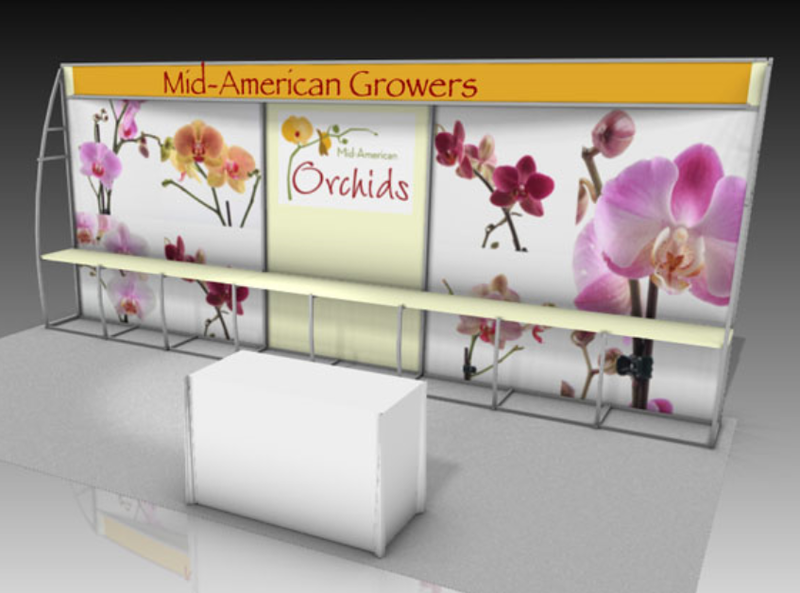 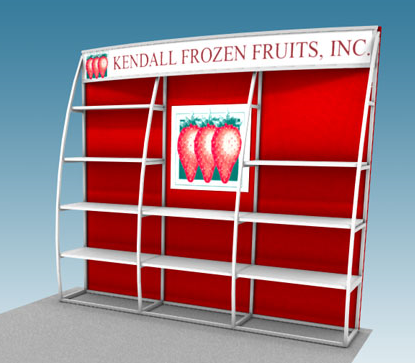 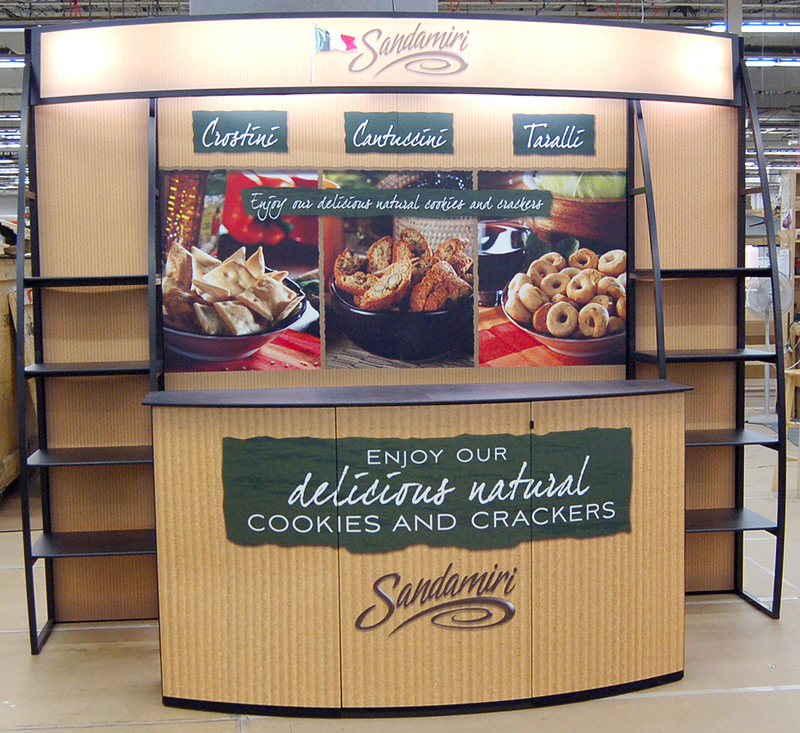 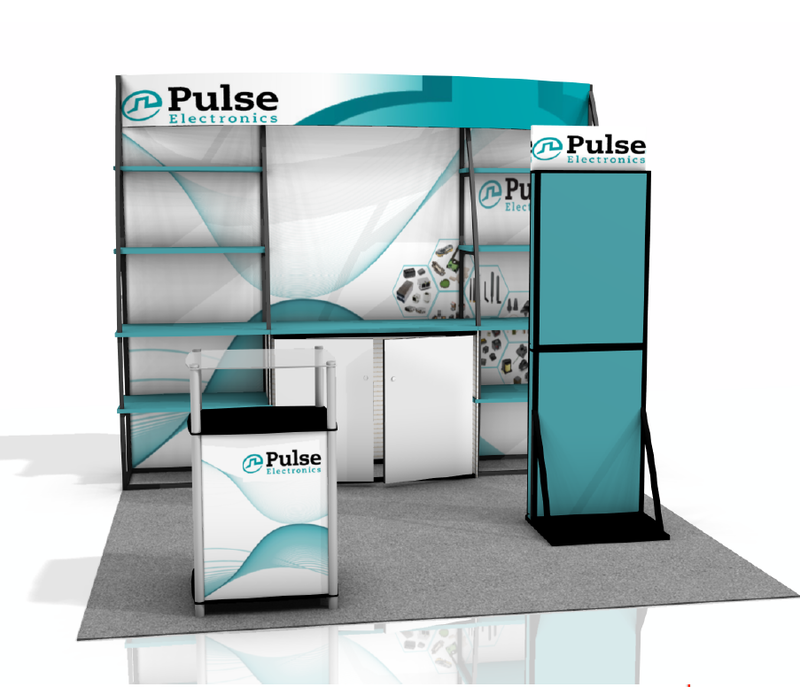 Shown here are some examples of OutRigger Shelf designs for typical 10ft , 20ft displays and beyond. 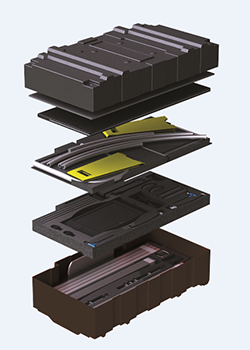 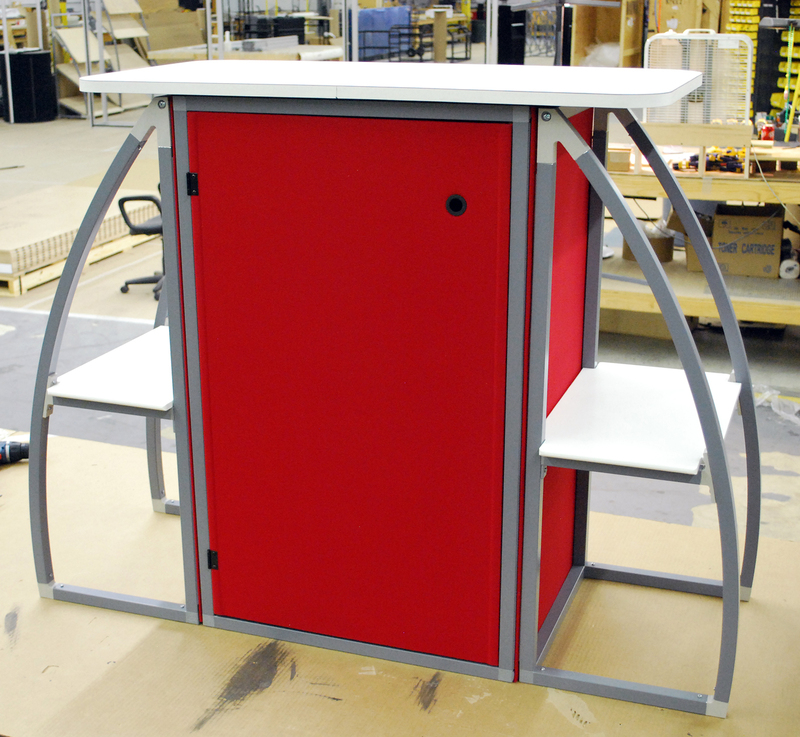 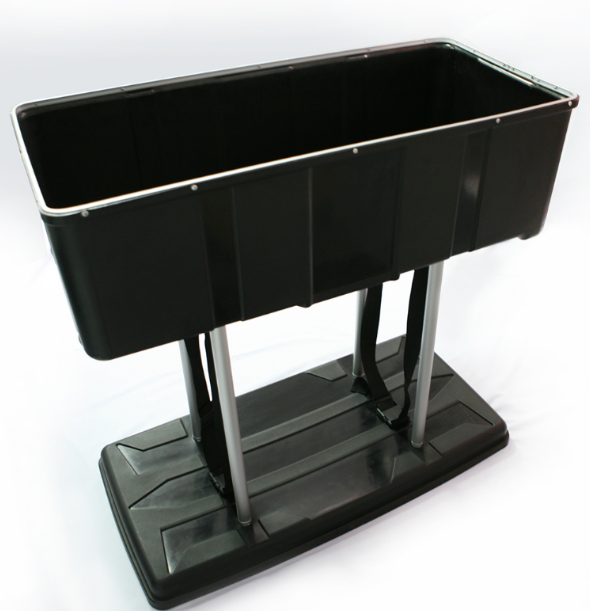 We can produce components to fit nearly any size. 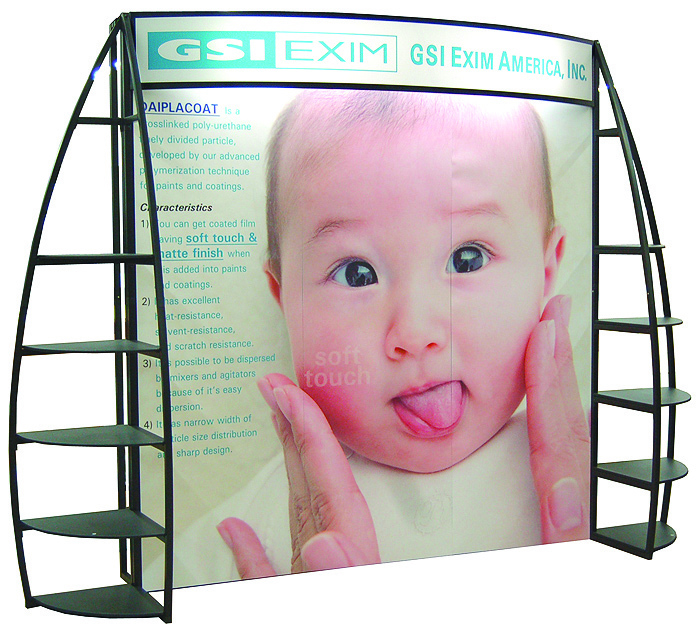 If not shown below, request a quote for a display to fit your special needs. 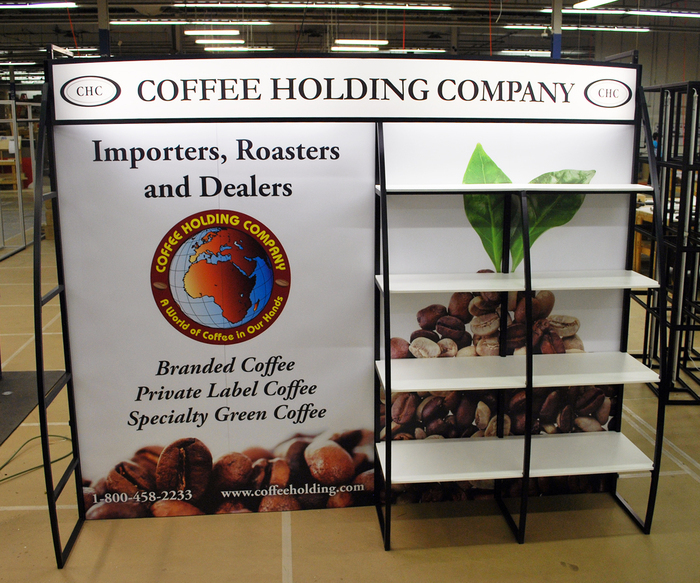 Note: this style doesn’t include a backlit branding header. 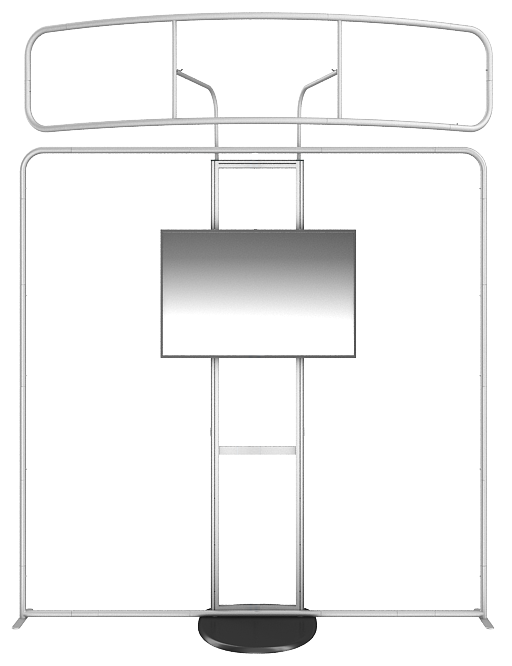 Dimensions when ordering. 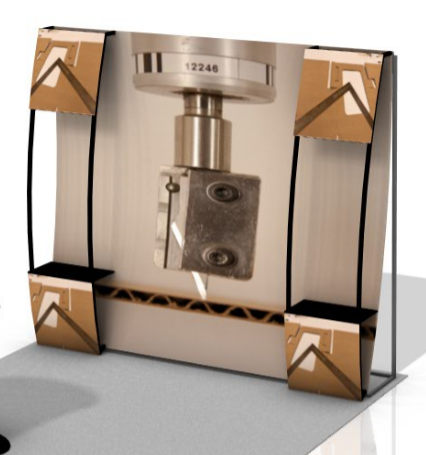 Shipping cases not included. 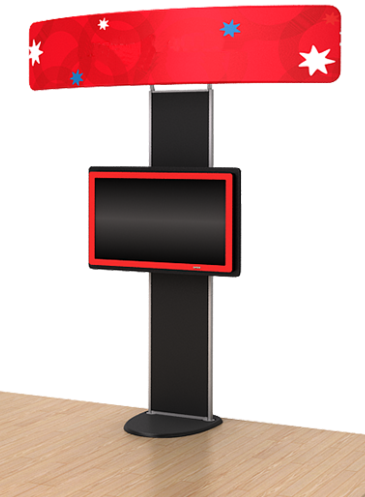 when ordering. 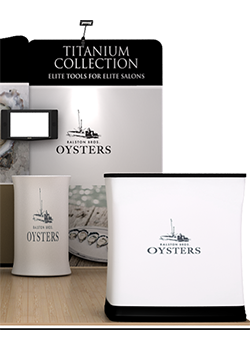 Shipping cases not included. 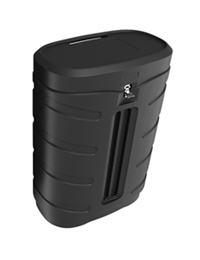 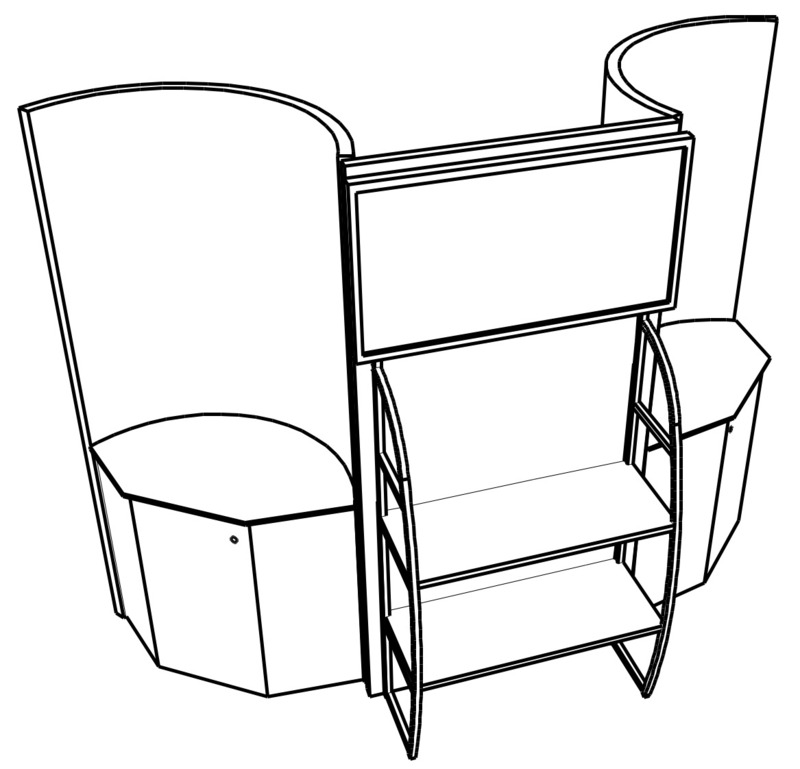 Storage counters and ship cases not included in above prices. 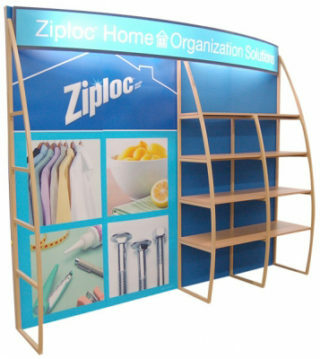 but no outrigger shelf displays on backwall. 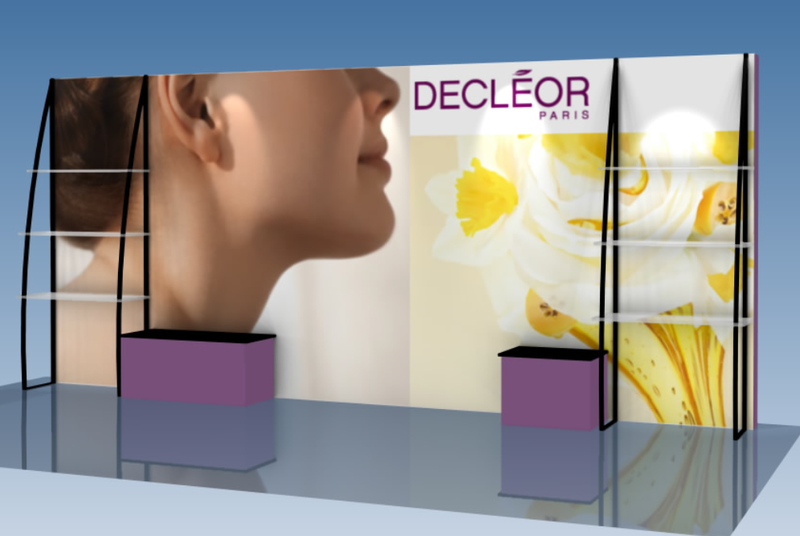 Combined with our OutRigger Shelf display, our backlit backwall option attracts attention to your space. 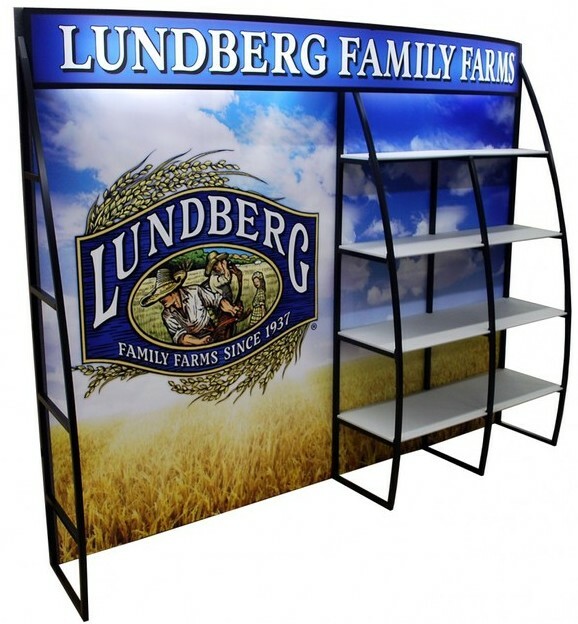 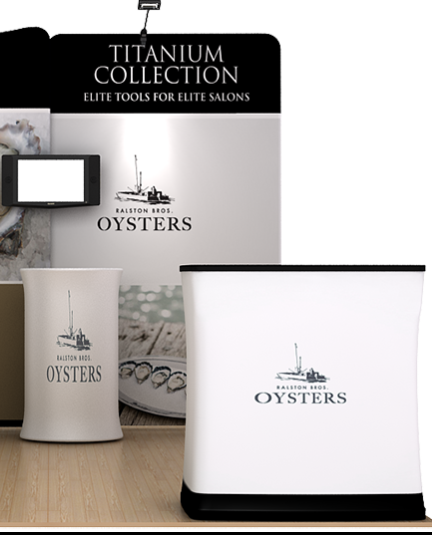 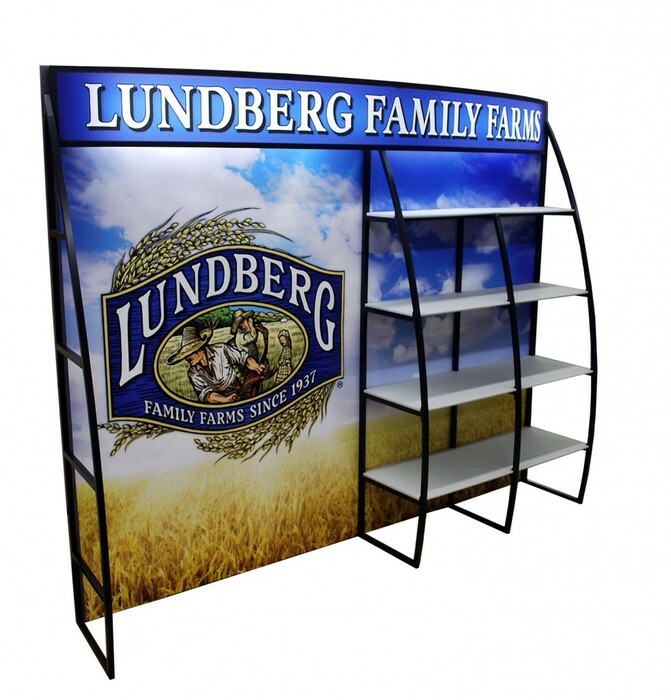 Bright, backlit graphics or photographic images positioned behind your shelves add highlights to the products being displayed on the OutRigger shelves. 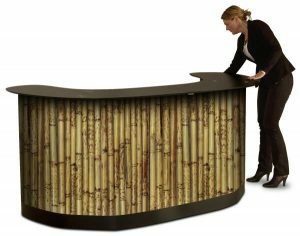 42″ OutRigger shelves, 40″ Storage Counter. 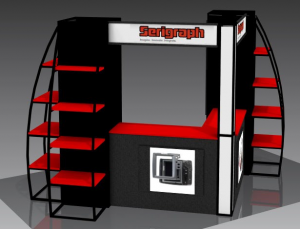 Storage counter, Lights & graphics included. 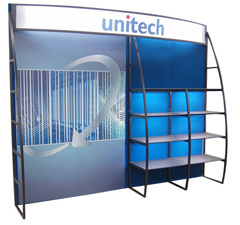 OutRigger shelf displays on backwall. 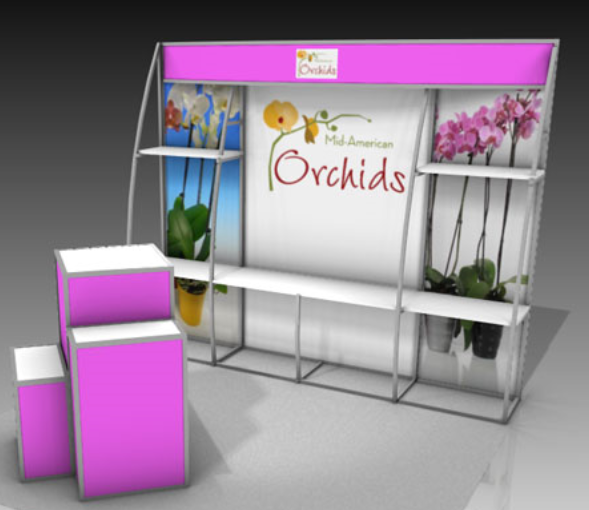 Custom Look and Meet Your Special Needs. 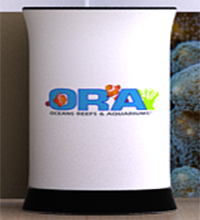 Send us your special needs for a quote. Either width will accept up to 65″ Monitor. 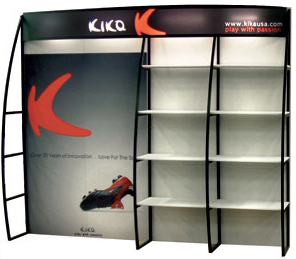 Other widths available for your shelf width preference.